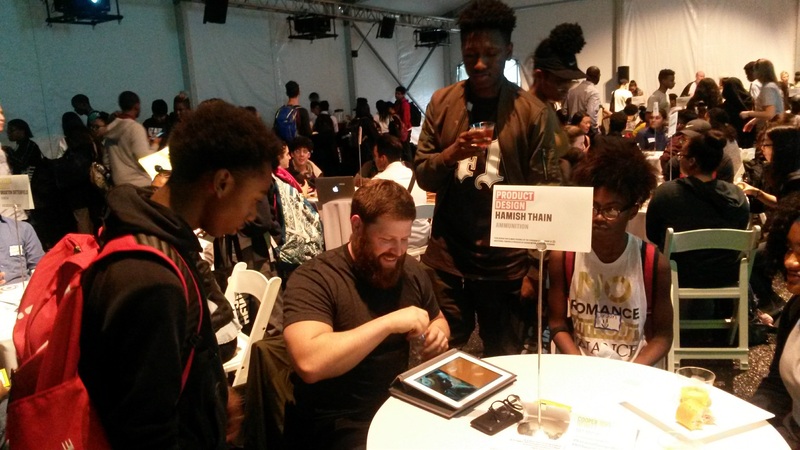 On October 18th, a group of students from WHSAD attended the Teen Design Fair, which is part of National Design Week in New York City. As they entered the large makeshift tent set up of the grounds of the Cooper Hewitt Smithsonian Design Museum, they observed various round tables that were hosted by design professionals. Our students went around to the tables and spoke with designers from the fields of architecture, interior design, product design, fashion design, landscape design and many more. Students got real world advice on career paths, challenges which designers face, and how to go about breaking into the specific areas of design which were represented.